Room A. Double bedroom with queen bed, ideal for couple. Room has own shower and toilet, ward robe , study table and kitchenette with microwave oven and upright fridge. You also have your own aircon for cooling and heating and a 40in. tv . In the common area , the kitchen is modern and spacious ,with a dining table . Cooking utensils and crockeries are supplied. Washing machine, Iron and ironing board are provided. Plenty of on street parking. NBN internet wifi provided. Big covered outdoor area . Near Brimbank Shopping Centre. Near bus stop. Easy access to train station ,airport and city. House is cleaned and maintained regularly. Situated in a quiet and peaceful neighbourhood. Room B. Ideal room for single person, with double bed, 40in. tv and study table. You have your own aircon for cooling and heating in the room . In the common area , there are 2 shared bathrooms and 2 toilets . The kitchen is modern and spacious with 2 shared fridges. Cooking utensils and crockeries are supplied. Nbn internet wifi provided. Washing machine, iron and ironing board are also provided. Big covered outdoor area. Plenty of on street parking. Near Brimbank Shopping Centre . Close to bus stop. Easy access to train station, airport and city. House i s cleaned and maintained regularly. Situated in a quiet and peaceful neighbourhood. 1 spacious bedroom to rent with built in wardrobe in a share house with 2 others, 1 male who works on call and studies full time, 1 female who works full time. The room is unfurnished but there is a single bed available on request if needed. Total rent is $1734 per calendar month plus bills Gas, Electricity and Internet split 3 ways, rent is due 1st of every month. Tenet must be approved by Real Estate prior to move after inspecting room. Tenet must be working and female preferred. A non party house, friendly spacious environment close to public transport and shopping center, on street parking. 35sq large, comfortable and very modern property. House is fully furnished and has central heating, evaporative cooling, dishwasher, washing machine, dryer and flat screen TV. Central bathroom very large. House has double garage and driveway big enough to park another car. House has a family room, lounge room and rumpus room. Large alfresco area as well as pergola in the back so plenty of space to get away and relax. Walking distance to Caroline Springs shopping centre. 10 mins from watergardens shopping centre and Sydenham train station. All bills are included in price as well as internet/wifi. Master bedroom $275 per week. Room is massive and can comfortably fit a king bed plus sofa plus tv unit and tv. Has antenna point in the room. Room also features a very large double shower and a corner spa and a massive walk in robe. Please note: furnishing may be different to pictures. Feel free to call with any questions. You will not be disappointed by this house. I have one room available for female tenant in a three bedroom house in Deer Park. The other two rooms are occupied by two young (23 and 25 years) female tenants. One girl is a university student while the other one is a full time working professional. The rent is 145 dollars per week and all bills (electricity, gas, water. ADT security monitored system) are included. Use of washing machine is optional for 5 dollars per week. Bond of $500 and fortnightly upfront payment is required. The house is located in a quiet street with bus stop on doorstep. 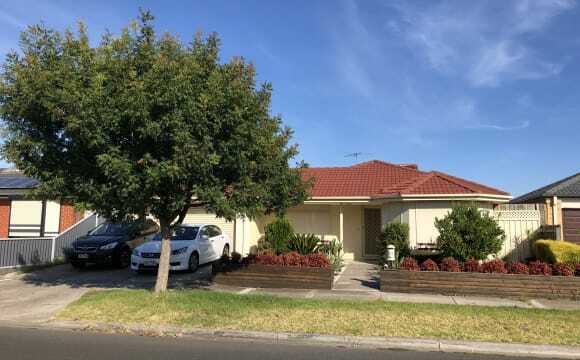 Walking distance to: Brimbank shopping centre (5 min. ), local shops and coffees (10 min.). Victoria University (15 min. ), Ginifer or Deer Park train station (20 min.). The house is very clean and situated on a well maintained block. It has two air-conditioners, ducting heating, monitored security system, roller shutters on windows and security doors. Parking on driveway (one spot) and on street but also garage can be negotiated separately. This is an ideal place to study and rest after long working day and it is the right place for university students and/or working professionals. You will be more than satisfied to live in this place. Total of three people will share the house and it is expected to maintain clean shared areas, to be friendly, polite, respectful and sociable. This is not a party house. Rooms are not shared, strictly one person room. No drugs or excessive alcohol use, please. Sorry, but pets are not accepted. There are two single upstair rooms being offered at $225.00 each weekly. They come furnished with air conditioning, a single bed, bedside table, desk and chair. 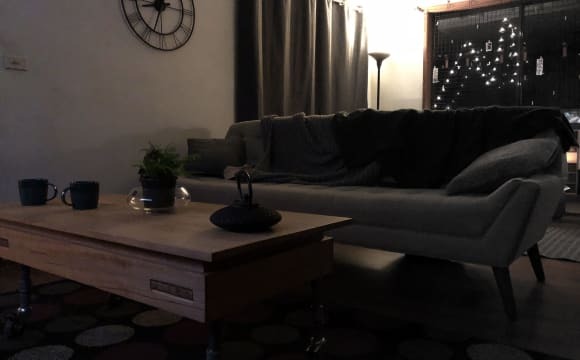 Additional furniture can be added if requested. Bed linen is supplied and laundered weekly when the room is cleaned. No towels are supplied - you have to bring your own. There is a large shared bathroom and toilet with an english bath and shower facilities. We provide bath soaps, shampoo and conditioner if required or you can use your own. A free continental breakfast comprising of cereal, toast, tea, coffee, milk, sugar and sweetener is provided for all residents in a shared pantry. A balcony at the end of the hallway is available for sunning/study and a small BBQ can be provided on request. Wi fi is available and free for use. A larger kitchen with a dining area is available downstairs. Parking is off the street and 2 minutes from the house. We provide extra services at a reasonable cost if needed. These are meals (lunch, dinner &amp; snacks), laundry and ironing and lifts to the station. Bicycles can be hired if required. A set of rules governing tenancy of the rooms, rental agreement, and use of the facilities will need to be signed before occupancy. Two referees (one from your GP) with a police report are also required from all applicants. Rent is payable in advance weekly with a bond of two weeks rental which will be refunded. Nice and new townhouse, 2 mins from highway and local shops. $630 a month not including bills. Air conditioning in living space and bedrooms You'll be getting your own bathroom and own ensuite. GREAT LOCATION IN WESTERN SUBURBS -2 shopping centres within a 2 minute drive -bus stop is adjacent corner of house -house situated in front of a beautiful lake perfect for morning walks or evening strolls -4 minutes to get onto western ring road -under 25 minute drive to city (given no peak traffic) SPACIOUS &amp; SAFE -kitchen is fully equipped, individual fridge and pantry shelf is provided -living area includes sofa and dining table -living room will be shared with one current roommate -large outdoor area, smoking allowed -internet and all bills included $250per week Two rooms available NOW! This is a beautiful 4 bedroom, 3 bathroom house with a double driveway and plenty of storage space. We have evaporative heating and cooling, cool little laundry shoot(I'm the only one who uses it though haha), spacious laundry and cute lil chill balcony upstairs and a small backyard with a cute chill area outside. 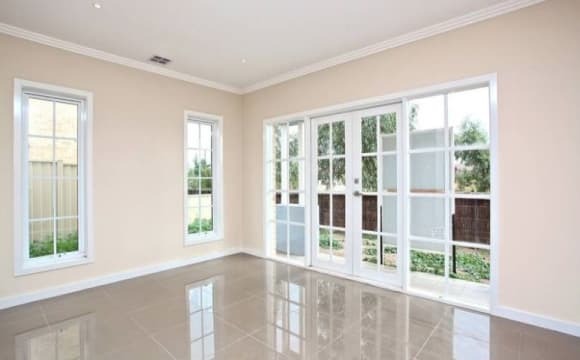 This house is only a literal 1-2 minute drive to Caroline Springs Shopping Centre (the heart of Caroline springs), a 2 minute walk to the lake and PTV is very easy to get to. The shops are a 7 minute walk and theres's a beautiful lake around the corner. I have just put some stuff in the room for the pictures to show that you can fit heaps into the house but that's only for photos... It's not that messy usually haha :) We have a cleaning roster with some pretty easy stuff just need to make sure you make time to do your part towards the end of the week. We have good unlimited internet also and if you want to use it, we spilt the bill for it there are 2 people paying for it atm. We split all the household maintenance such as cutting lawns and bills such as water, electricity and gas. We're pretty laid back people but all we ask is that shows initiative to help out in the house and be friendly towards each other because we try to be like a family here, and if you break something, you are responsible for replacing it and be respectful towards others and their stuff. If you cant do something or are unsure, just ask us and we will talk things out. Bond is $500(didn't know how to put it into the flatmates description so i wrote it here lol). You would be going on the lease also. We can make some sort of formal agreement that clarifies everything as well o top of you being put on the lease and paying for bond so we know things are done fairly. I like to make sure things are done as properly as possible because i dont like screwing anyone around or visa versa. Only letting one room for a property of 4 bedroom house in Deer park. the house locates in a very quiet area in/out which allows tenants to relax after long day of work. 3 minutes drive to the train station, 20 minutes to CBD. IGA is 7 minutes walking distance while Derrimut shopping center is 5 minutes drive. GYM and other amenities are close by. The property has Internet, centralized air-condition, spacious living area, and excellent backyard. EXTRA large room is available now. 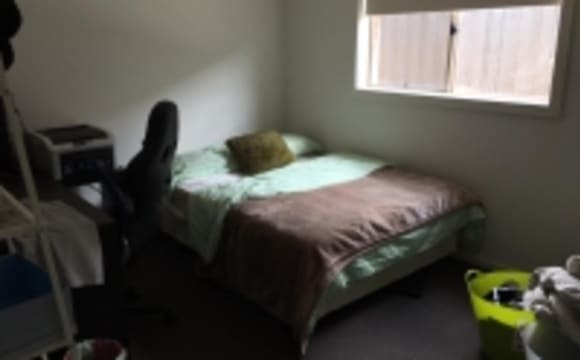 House is within walking distance to Deer Park train station, V-line (only 3 stops from Southern Cross station and train comes every 10-15 mins). 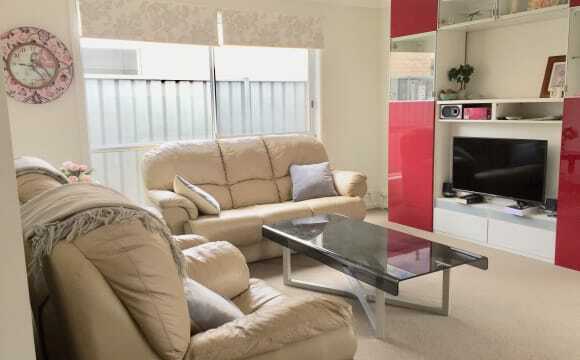 Also walking distance to Derrimut Village, to bus no. 400 and local shops and cafes. 10 mins drive to Sunshine station. Access to freeway bypass, only 20 mins drive to city. House in immaculate, clean condition. Fast NBN internet connection. It is very cozy place, you will feel at home here. EXTRA Spacious room with large bathroom shared with only 1 other person in the house. large windows that allow plenty of light into the room, and private sliding doors leading to well maintained backyard with decking. Room is furnished with a queen bed, drawers, shelvings, large desk and chair. Close to everything Walking distance to cs square with access to all amenities Gym, bbq areas, pool, restaurants, walking track, footy oval sport complex library. 5 min drive to station and close walk to bus stop Central location with the views of the creek and the valley. New and Large private rooms with double shower and walkin - robe Two rooms available one with its own private bathroom. 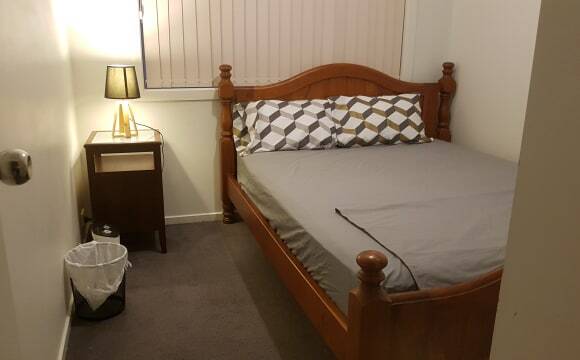 The room is clean, ideal for student or who works full time or even just taking a short vacation in Melbourne can stay with us. Cheap accomodation! 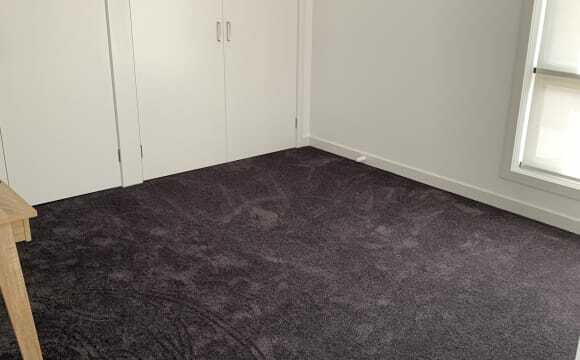 15 drive to st Albans, bus 2 min walk, 25 min to Tullamarine airport ,5 min drive to Caroline Spring shopping centre and 11 min to water garden Shopping Centre. The property is in a quiet suburban area. 5 min drive to Keilor Plains Station and a 2 min walk to a bus stop. I have two rooms available, one furnished with a bed and clothes rack and the other unfurnished with a built in robe. The House has Central heating and cooling system. 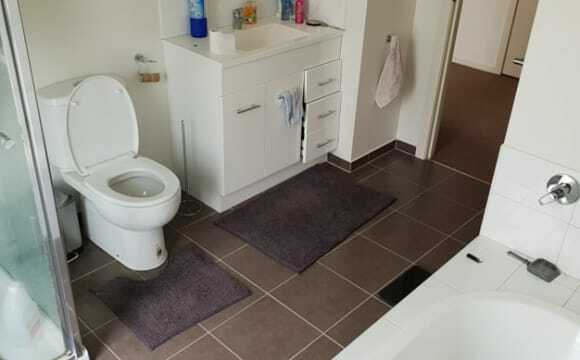 3 Bedroom, 1 Study / Office, 2 Bathroom and 1 Toilet. I currently live alone so the house feels very spacious. Plenty of room around the house with two large sheds for extra storage. I’m looking for someone who is clean, respectful and will pay rent on time.